Heres the first video from Game's up and coming album Jesus Piece which is set to feature some of hip hop's biggest names. 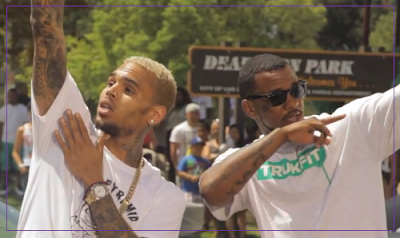 This single Celebration features his boy Breezy, who we've seen him hanging with a lot these days along with Wiz, Wayne, and Tyga. The video is basically a grill party of sorts in a park with women everywhere. Check it out below. Jesus Piece is set to hit stores later this year.